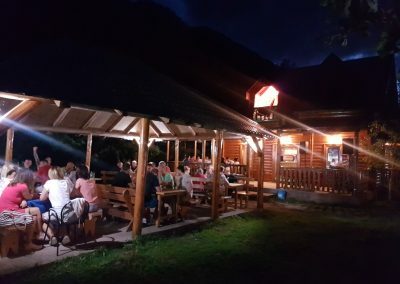 The restaurant of the rafting camp Modra Rijeka has 150 seats arranged in the inner part, covered and exposed terraces. 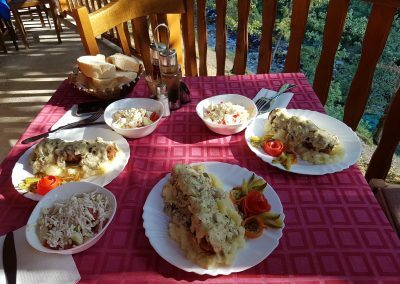 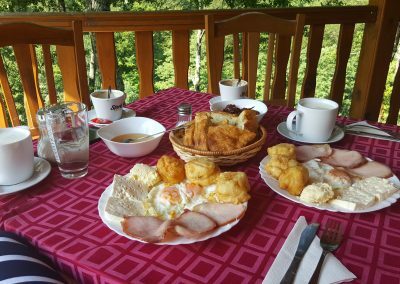 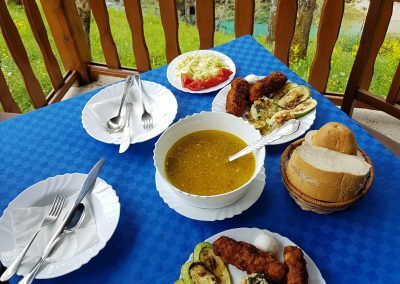 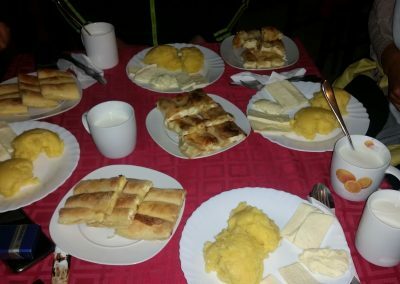 A special atmosphere for all our guests and lovers of rafting on Tara is serving meals on the terrace, right on the banks of the Piva River. 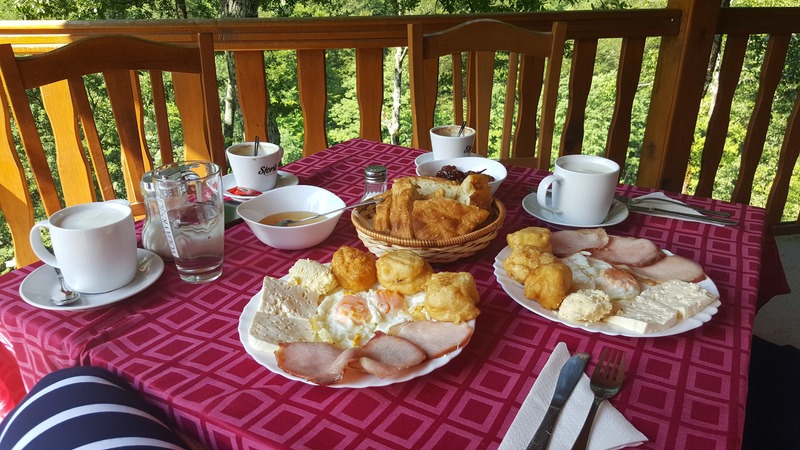 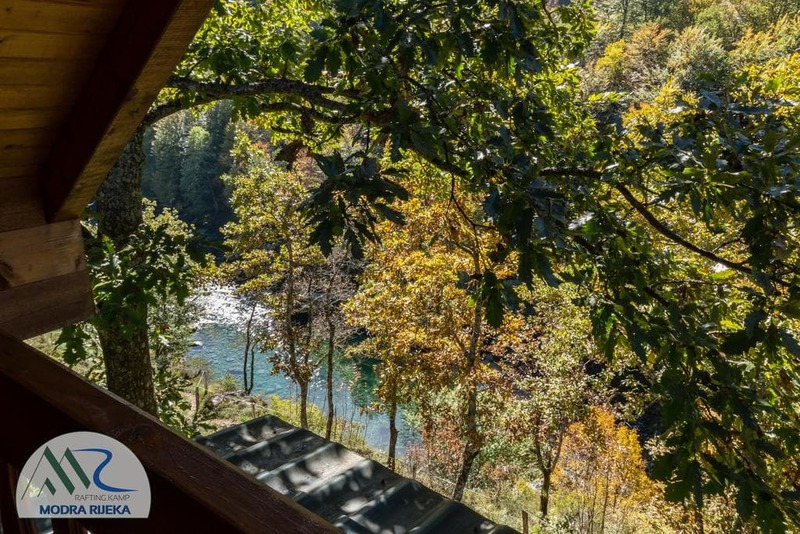 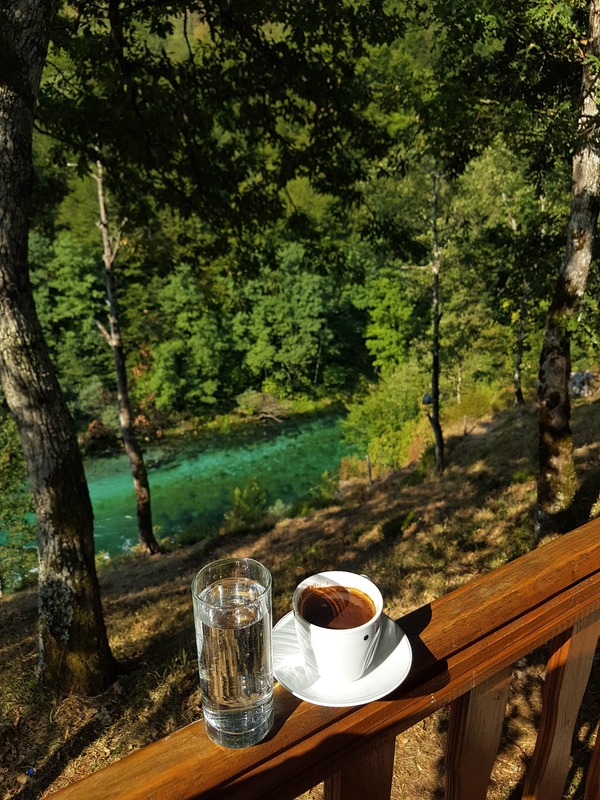 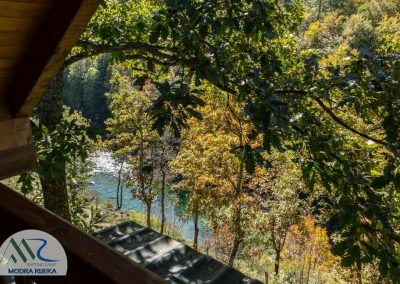 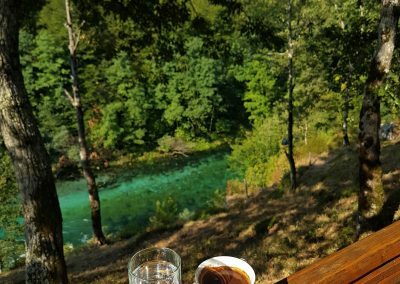 You will not have a nice dinner and a nice atmosphere anywhere, with a phenomenal view extending to the canyon of one of the most beautiful rivers in Europe. 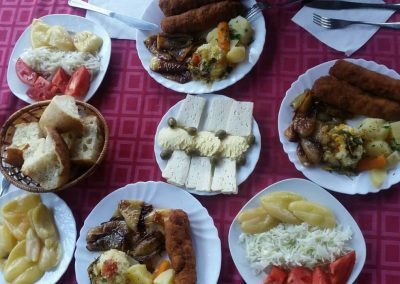 Our catering team will ensure that national specialties are always ready for you, in which you will enjoy maximum enjoyment. 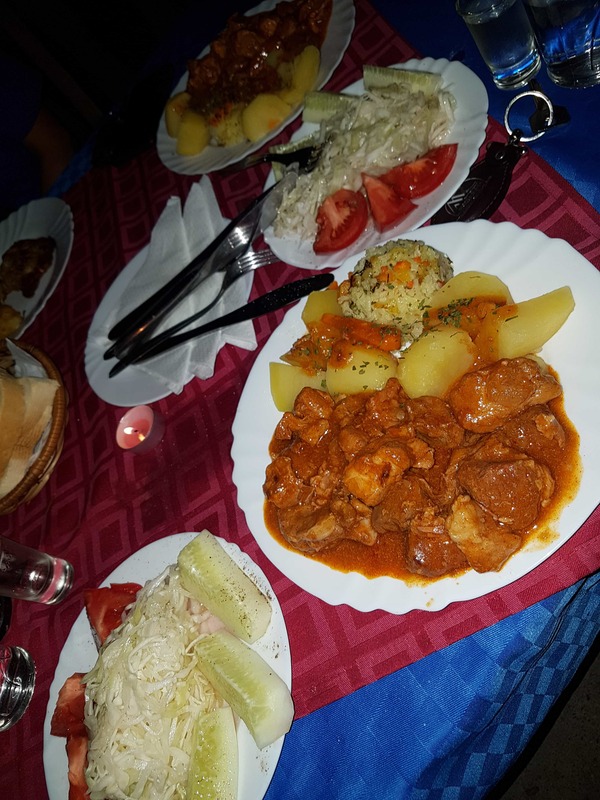 Our kitchen is open 24 hours a day and we are always ready to provide you with a variety of dishes (gourmet, vegetarian, gluten free and other dishes of your choice). 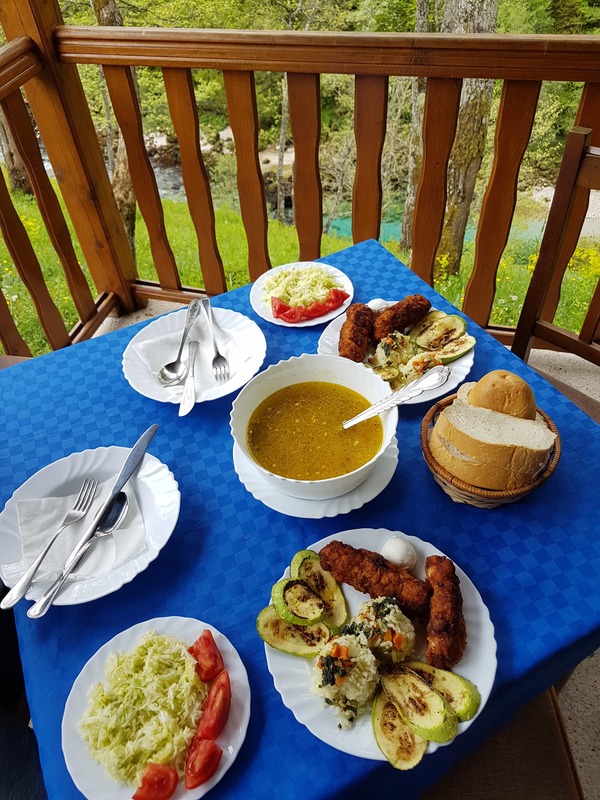 Almost all products are of organic origin, purchased from local breeders and producers, and in this way you can enjoy real, healthy flavors and indulge yourself with the charm of our specialties. 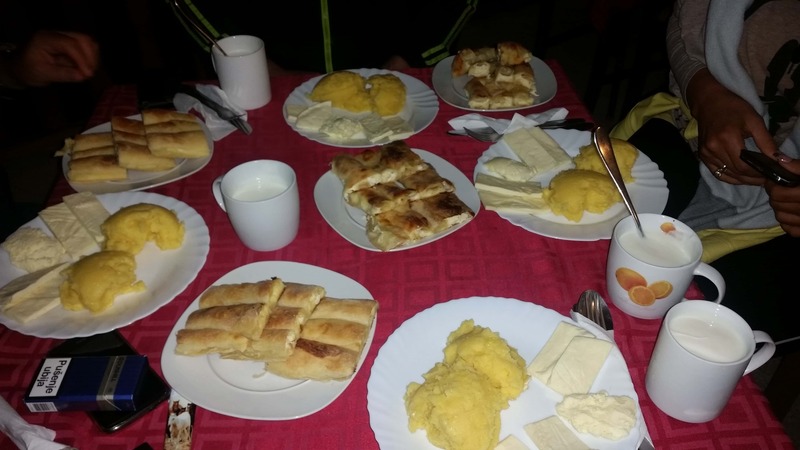 Piglets with cheese, honey, jam, cream, sugar ..
Homemade soup of different types of vegetables. 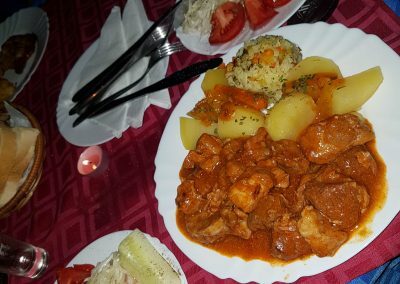 Lamb, veal, potato baked under sauce, rice with vegetables. 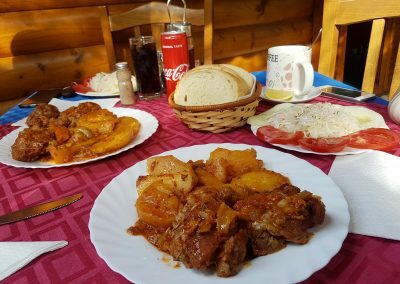 Trout, rice, potatoes under the honeycomb. 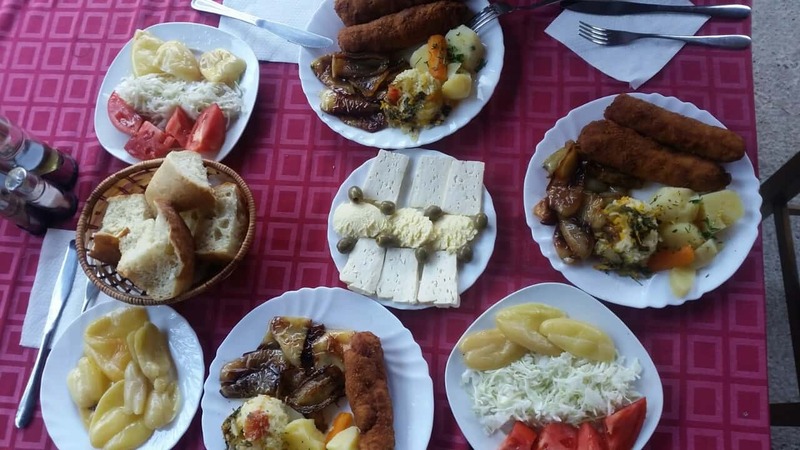 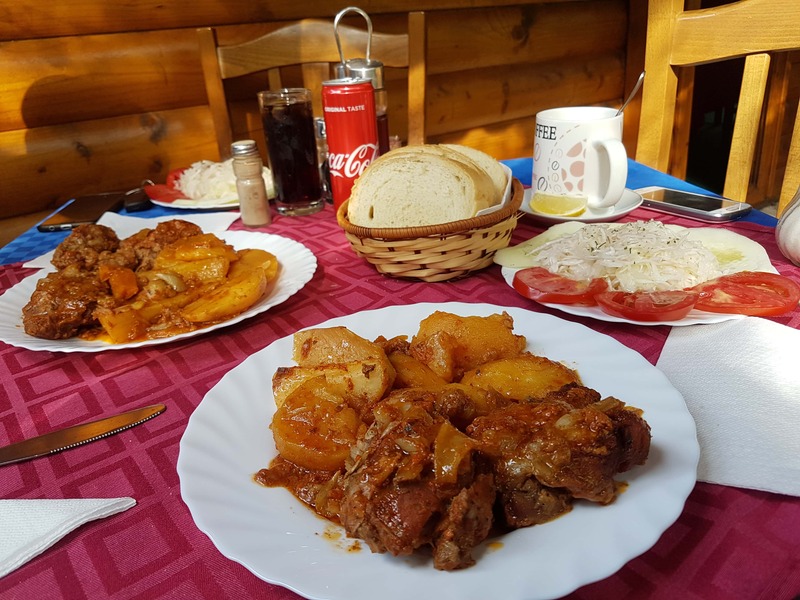 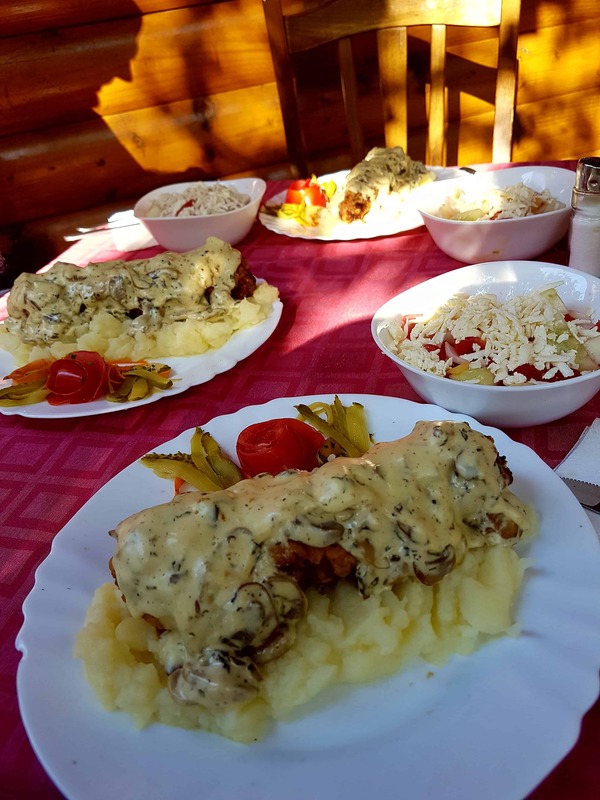 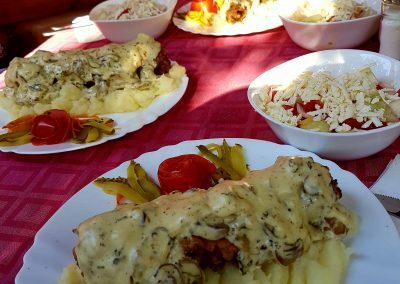 In addition to everything offered and in spite of the skills of our maestral chefs, who have made the recognizable cuisine of the rafting camp Modra Rijeka for years, if you wish, we leave for you and your friends the possibility of grilling with camp fire, which can help us create your own dishes and your specialties with our help . 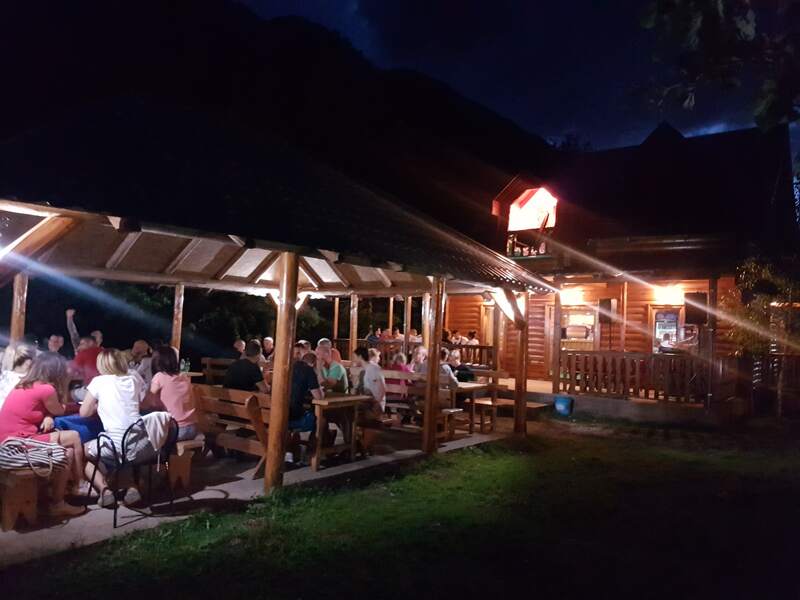 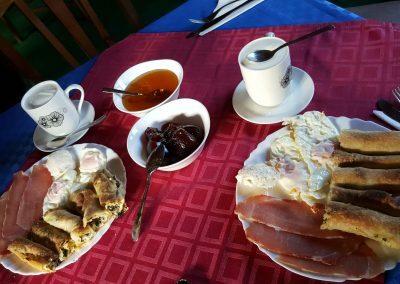 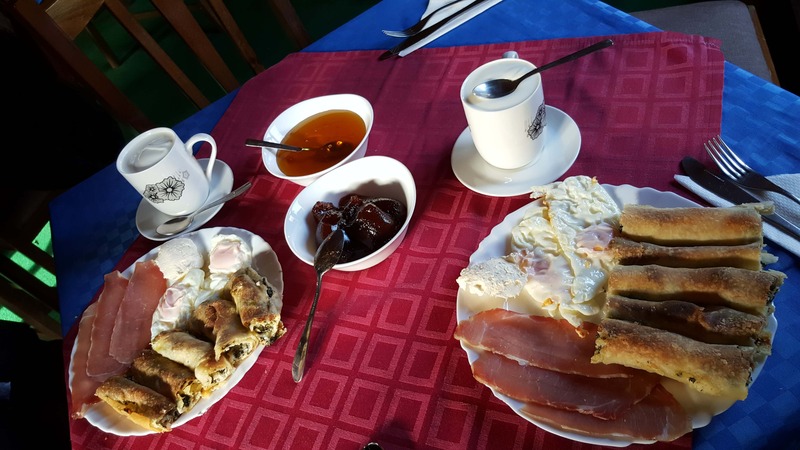 In our restaurant you will find all types of alcoholic and non-alcoholic beverages: carbonated and non-carbonated juices, beers, wines, liqueurs, Montenegrin brandy of all tastes, etc. 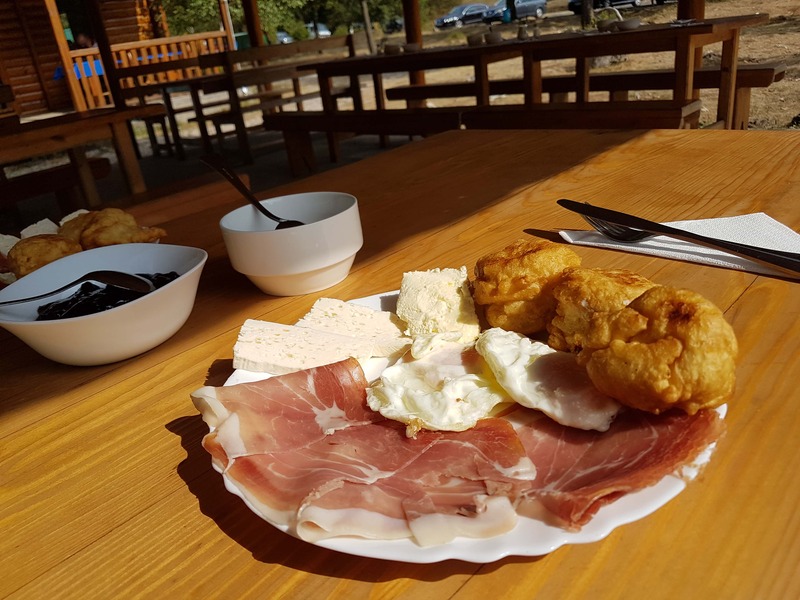 Also, only in the rafting camp Modra Rijeka you can enjoy the Premier rakies made of first-class fruit, which are the bearers of gold medals at many world fairs (quince, apricot, viljamovka, plum, vine).